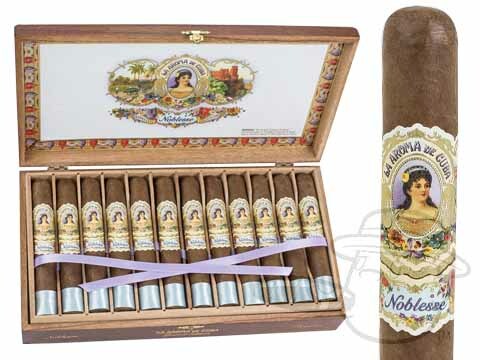 Handmade in Nicaragua by My Father Cigars S.A., the Noblesse is La Aroma de Cuba's first ever limited edition release. 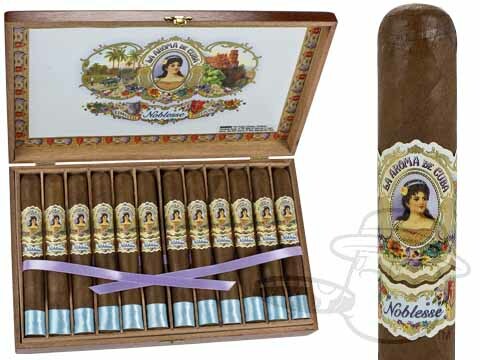 Featuring a specially selected Ecuadoran Habano Rosado wrapper leaf over a proprietary blend of Garcia family tobaccos, the Noblesse carries sophisticated and supremely well-balanced flavors of nuts, leather, fruit, spices, coffee, honey, and cream through a smooth and generous draw. With just 3000 boxes produced, the Noblesse is a rare and highly sought-after cigar that will impress even the most experienced palate.